Web design tool Adobe Experience Design finally comes to Windows, along with an update to its mobile apps. Life continues to get better for Windows users as Adobe has just announced Adobe Experience Design (XD) beta for Windows 10. This release of its prototyping tool coincides with the launch of a ninth beta version for Mac users, which includes significant updates to the mobile app for iOS and Android. 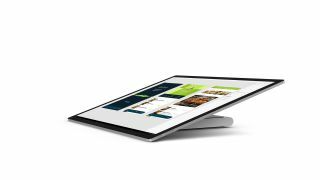 The first release includes a set of core features for designing and prototyping websites and mobile apps, including XD’s innovative repeat grid tool for speeding up layout of design elements, as well as the visual connectors for wiring up interactive prototypes. You can also export assets from your XD document as PNGs and experience your prototype on either your desktop or through the XD mobile app. However, it's important to note that sharing via Creative Cloud is not yet supported. One of the benefits of building a completely new UWP app for Windows 10 is that you can take advantage of the latest hardware and software. To install Adobe XD on Windows 10, you’ll need to make sure that you have the “Anniversary Update” installed. To check what version you’re running, follow the instructions in this guide. If you’re not sure how to upgrade to the Anniversary Update, please read this article from Microsoft. There are plans to offer full support for touch devices and pen input in XD, although these are not available in the public beta releases. When it comes to XD on mobile, the new capabilities allow users to browse and open XD documents saved in Creative Cloud Files, view XD documents even when you're offline, browse all artboards in an XD document, turn hotpost hints on or off, and the ability to share your current screen as an image.